Shumi Bose is a teacher, curator and editor based in London. She is Senior Lecturer and Coordinator of Contextual Studies in Architecture at Central Saint Martins in London. She is also a curator of exhibitions at the Royal Institute of British Architects (RIBA). In 2017, Shumi curated Pablo Bronstein: Conservatism, or The Long Reign of Pseudo Georgian Architecture at the RIBA. With Finn Williams and Jack Self, she also co-curated Home Economics, for the British Pavilion at the 2016 Venice Biennale of Architecture. Recent publications (as editor) include Four Walls and A Roof: The Complex Nature of a Simple Profession (with Reinier de Graaf; Harvard University Press, 2017), Home Economics (The Spaces, 2016), and Wherever You Find People: the Radical Schools of Oscar Niemeyer, Leonel Brizola and Darcy Ribeiro (with Aberrant Architecture; Park Books, 2016). Opening of the exhibition Excavating Empathy, the result of a week-long workshop led by artist Shimon Attie around the topic of empathy. 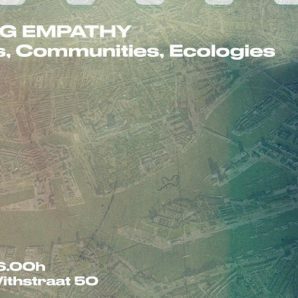 Students of the Piet Zwart Institute will set-out on a journey to take a closer look at the stories hidden underneath the fabric of our personal, sociopolitical, and communal landscape within the context of Rotterdam and create new work. 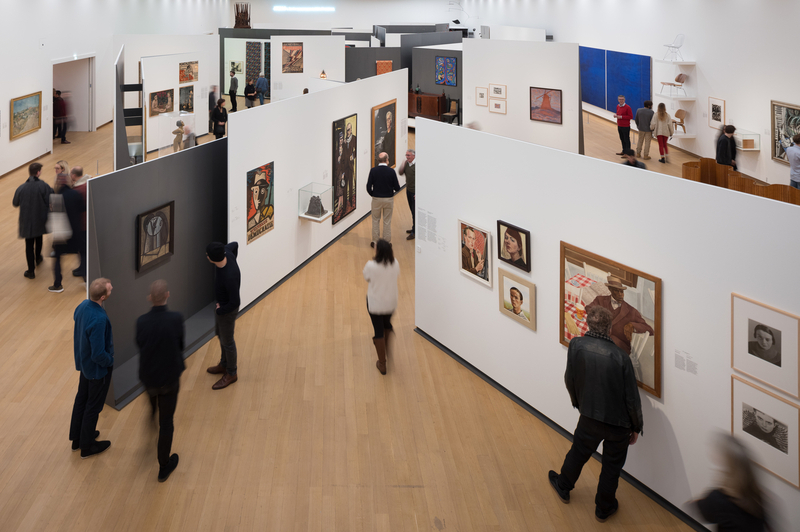 The exhibition is on view during the weekend. Daniel Fernández Pascual and Alon Schwabe are a duo of spatial practitioners based in London. Cooking Sections was born to explore the systems that organize the world through food. Using installation, performance, mapping and video, their research-based practice explores the overlapping boundaries between visual arts, architecture, and geopolitics. 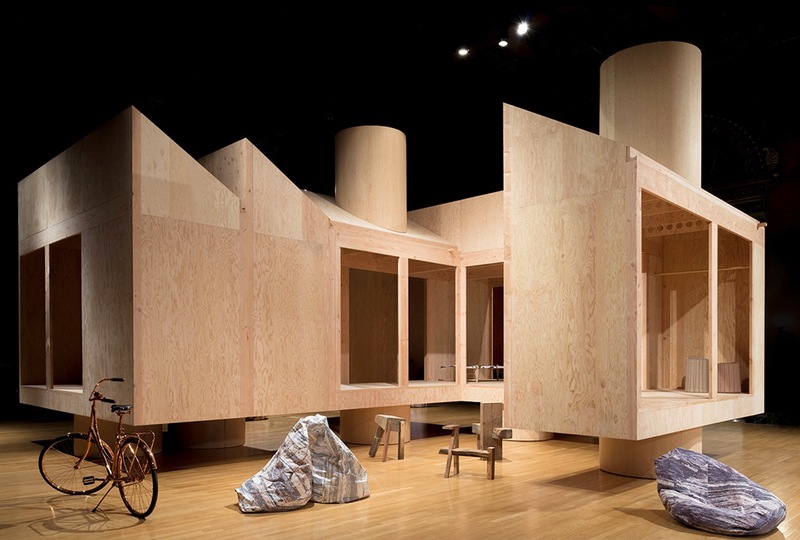 Cooking Sections have held residencies, among other places, at Delfina Foundation in London and the US Pavilion at the 2014 Venice Biennale; their work has been exhibited at the 13th Sharjah Biennial, Storefront for Art & Architecture, Fiorucci Art Trust, and more. They currently lead a design studio at the Royal College of Arts. 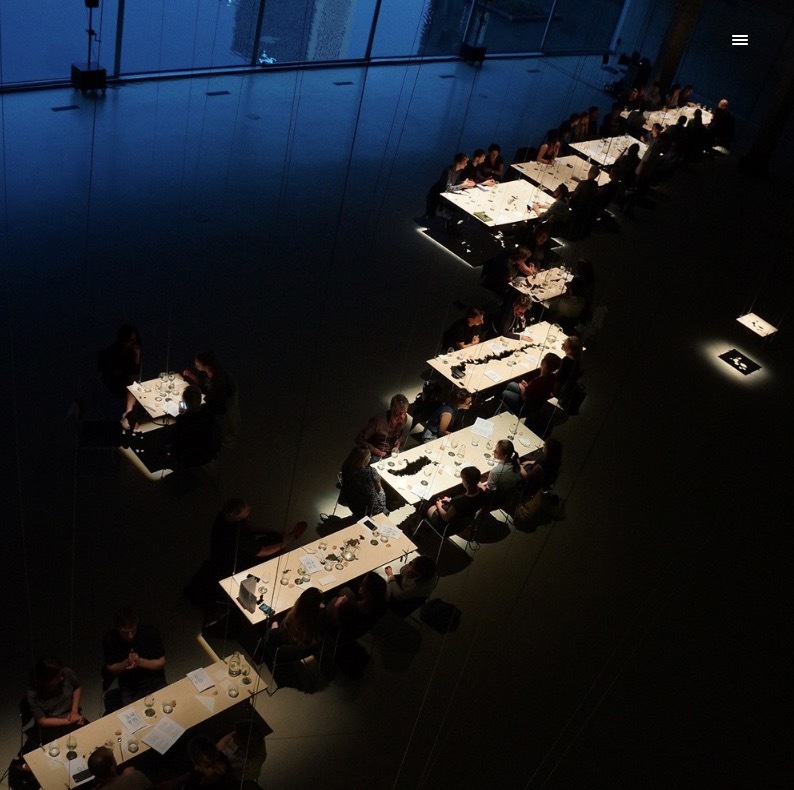 Caption of the image: Cooking Sections, Climavore performative dinner, HNI, 2016. 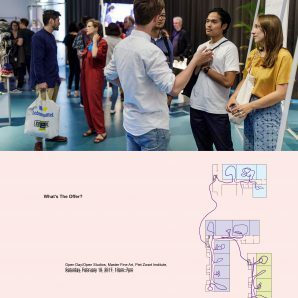 Federico Martelli is a researcher and exhibition designer at AMO/OMA in Rotterdam, where he led the design of Elements of Architecture at the 2014 Venice Architecture Biennale, and more recently of Stedelijk BASE, a new gallery housing the Stedelijk Museum’s permanent collection. He has also been working with Wolfgang Tillmans on several exhibitions, including his 2017 solo show at Tate Modern. Martelli is cofounder of Cookies – a Rotterdam-based collective that explores the relation between art, curation and architecture. During our annual Open Day, staff and students are present for questions and presentations. The studio spaces will be open, and it is also possible to visit the workshop facilities located at the Willem de Kooning Academy. Master Fine Art will be present for questions and presentations, and have Open Studios. Their location is at Karel Doormanhof 45. Staff and students of the Master Media Design: Experimental Publishing, Master Media Design: Lens-Based, Master Education in Arts, and Master Interior Architecture: Research + Design will be presenting and available for questions across the 4th floor of the Willem de Kooning Academy at Wijnhaven 61. As mentioned, this location is also home to the workshop facilities of the Piet Zwart Institute. Applications for September 2018 entry are now open. We strongly encourage you to apply early due to the quantity of applications the Piet Zwart Institute Master programs receive, Dutch IND regulations regarding immigration, and international opportunities to apply for study funding. February 1, 2018: First review of completed applications for non-EU and EU applicants. March 1, 2018: Final review deadline for completed applications for non-EU applicants. Second review for completed applications for EU applicants. May 15, 2018: Final review deadline for completed applications for EU applicants. Once a committee has reviewed your completed application, you may be contacted for an interview. Interviews will start as early as end of February and carry on up until the May 15 deadline. Simone C. Niquille is a Swiss designer and researcher living in the Netherlands. 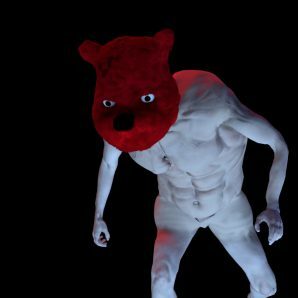 Her studio Technoflesh investigates the representation of identity without a body, the digitisation of biomass, and the increasingly omnipresent optic gaze of everyday objects. Recently, e-flux architecture published her essay “SimFactory”; her short film The Fragility of Life premiered at Impakt Festival in Utrecht. Hilary Sample is an award-winning architect and cofounder of MOS Architects, an architecture firm based in New York City. 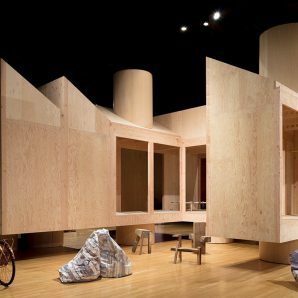 MOS won the MoMA PS1 competition in 2009, and have subsequently built a number of residential, educational and housing projects. They also participated in several exhibitions including the 2015 and 2017 Chicago Architecture Biennial. Hilary Sample wrote the book Maintenance Architecture (MIT Press, 2016), and is associate professor at Columbia GSAPP. In this lecture she will talk about MOS’s approach to designing houses. The Master of Interior Architecture: Research + Design is delighted to announce a new public programme for 2018. The interior represents a complex play of political, social, cultural and economic forces. 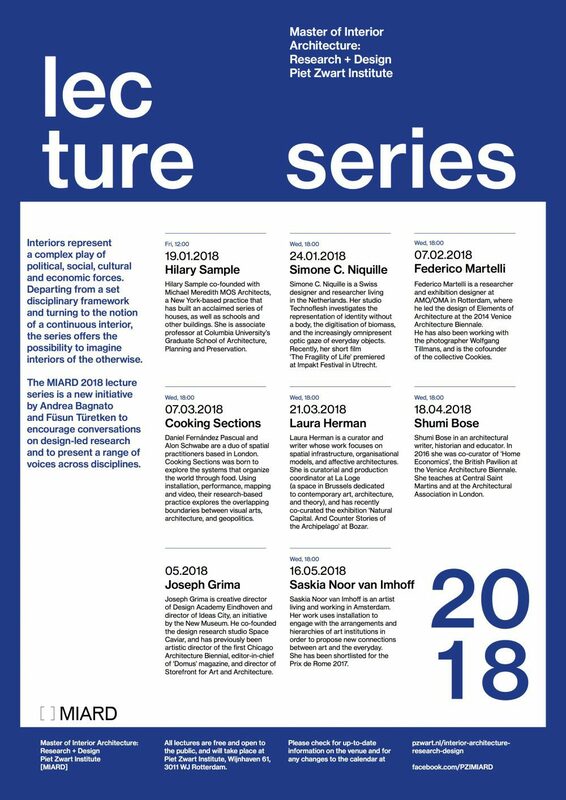 Departing from a set disciplinary framework and turning to the notion of a continuous interior, this lecture series offers the possibility to imagine a space of the otherwise. 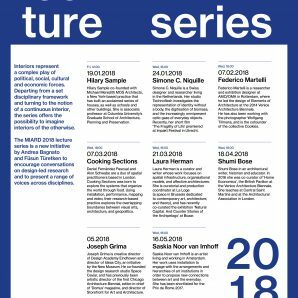 The series is an initiative by Andrea Bagnato and Füsun Türetken to encourage conversations on design-led research and to present a diversity of voices from across the discipline. 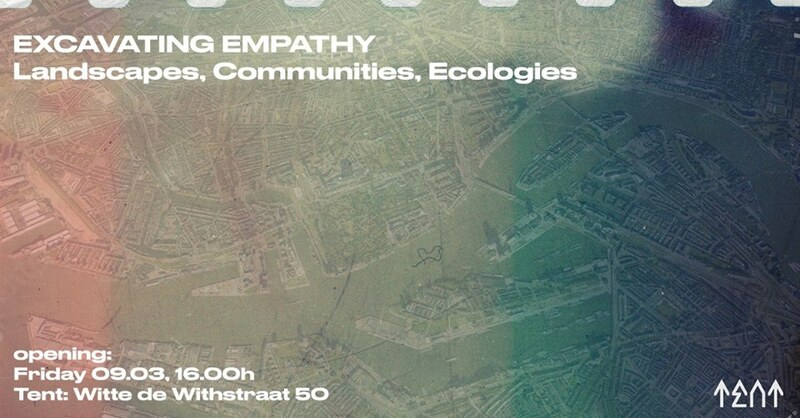 All lectures are free and open to the public, and will take place at Piet Zwart Institute. Hilary Sample January 19, 12pm Hilary Sample co-founded with Michael Meredith MOS Architects, a New York-based practice that has built an acclaimed series of houses, as well as schools and other buildings. She is associate professor at Columbia University’s Graduate School of Architecture, Planning and Preservation. Simone C. Niquille January 24, 6pm Simone C. Niquille is a Swiss designer and researcher living in the Netherlands. Her studio Techno esh investigates the representation of identity without a body, the digitisation of biomass, and the increasingly omnipresent optic gaze of everyday objects. Recently, her short lm ‘The Fragility of Life’ premiered at Impakt Festival in Utrecht. Federico Martelli February 7, 6pm Federico Martelli is a researcher and exhibition designer at AMO/OMA in Rotterdam, where he led the design of Elements of Architecture at the 2014 Venice Architecture Biennale. 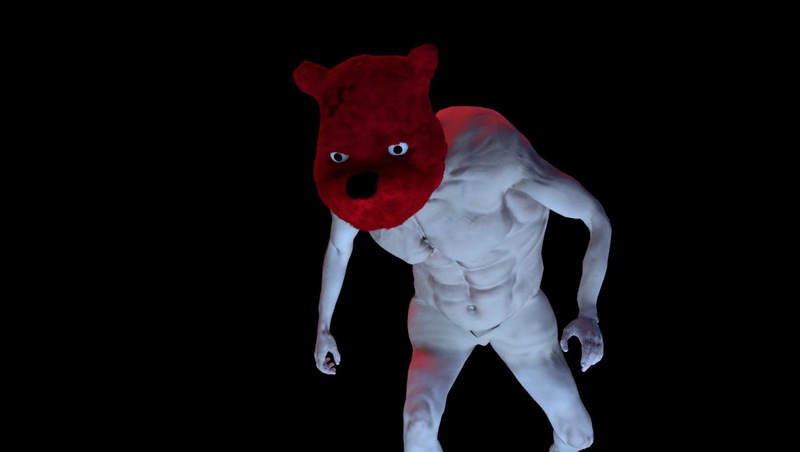 He has also been working with the photographer Wolfgang Tillmans, and is the cofounder of the collective Cookies. 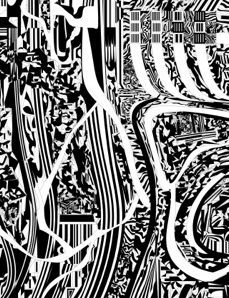 Cooking Sections March 7, 6pm Daniel Fernández Pascual and Alon Schwabe are a duo of spatial practitioners based in London. Cooking Sections was born to explore the systems that organize the world through food. Using installation, performance, mapping and video, their research-based practice explores the overlapping boundaries between visual arts, architecture, and geopolitics. Laura Herman March 21, 6pm Laura Herman is a curator and writer whose work focuses on spatial infrastructure, organisational models, and a ective architectures. She is curatorial and production coordinator at La Loge (a space in Brussels dedicated to contemporary art, architecture, and theory), and has recently co-curated the exhibition ‘Natural Capital. And Counter Stories of the Archipelago’ at Bozar. Shumi Bose April 18, 6pm Shumi Bose in an architectural writer, historian and educator. In 2016 she was co-curator of ‘Home Economics’, the British Pavilion at the Venice Architecture Biennale. She teaches at Central Saint Martins and at the Architectural Association in London. Saskia Noor van Imhoff May 16, 6pm Saskia Noor van Imho is an artist living and working in Amsterdam. 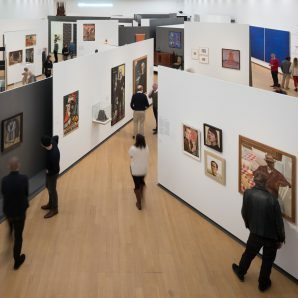 Her work uses installation to engage with the arrangements and hierarchies of art institutions in order to propose new connections between art and the everyday. She has been shortlisted for the Prix de Rome 2017. Joseph Grima date to be announced Joseph Grima is creative director of Design Academy Eindhoven and director of Ideas City, an initiative by the New Museum. He co-founded the design research studio Space Caviar, and has previously been artistic director of the rst Chicago Architecture Biennial, editor-in-chief of ‘Domus’ magazine, and director of Storefront for Art and Architecture. Work shown in this exhibition stands in dialogue with the nature of drawing as presented in the exhibition ‘Drawing Ambience, Alvin Boyarsky and the Architectural Association.’ Students from the Piet Zwart Institute, Master Interior Architecture: Research + Design program reconsider drawing as a form of spatial inquiry across time, context, and technique. Each drawing looks to explore a space that denotes tension between visible and invisible, interior and landscape, reality and fiction. 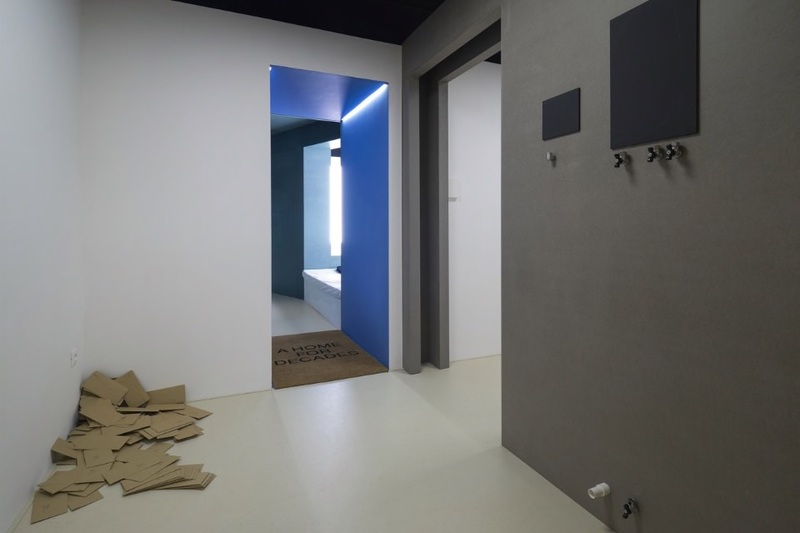 Designers have been searching for various unorthodox representations of (interior)space. 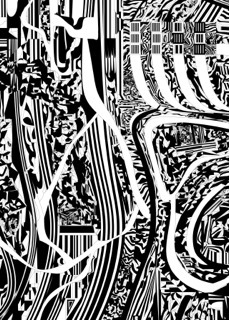 Drawings behave like instruments with which to depict ambient attributes. Visit the Flanders Architecture Institute webpage. Congratulations to MIARD students Claudia Cañizares, Thomas Galvan, Livia Stacchini. 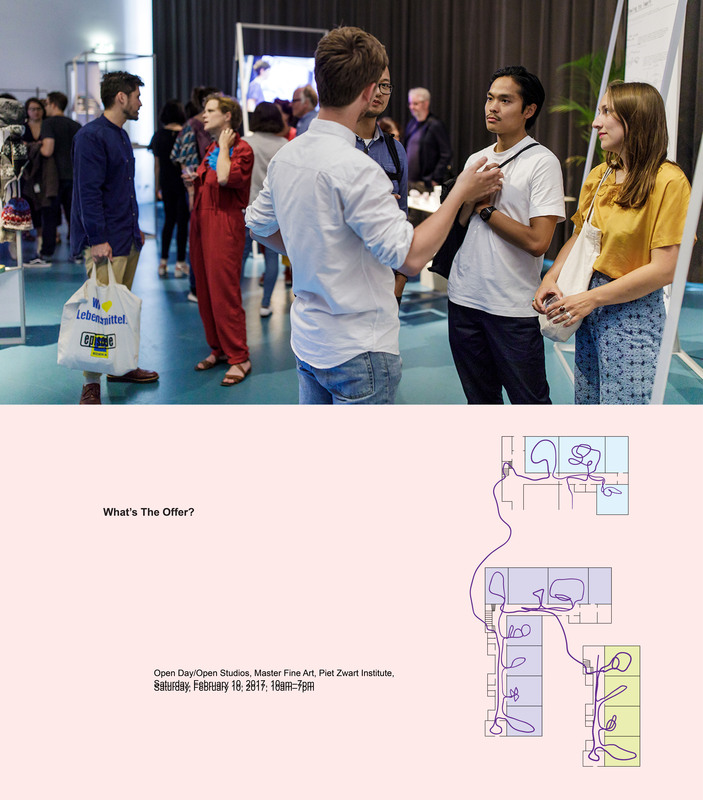 These designers are invited by Kenniscentrum Creating 010, Hogeschool Rotterdam to publicly present and exhibit their speculative projects of future spaces of consumption as part of Hogeschool Rotterdam’s externally funded research project ‘Retail Innovation Rotterdam’. 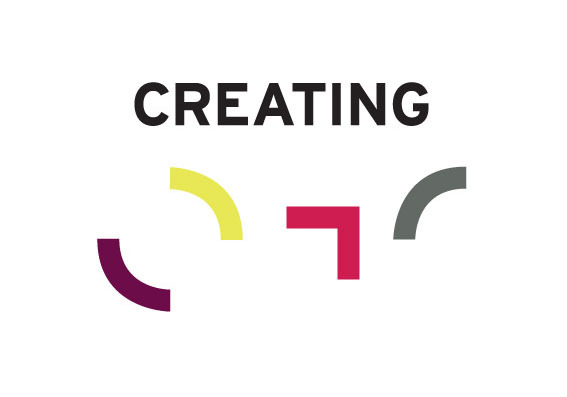 Creating 010 is a transdisciplinary design-inclusive Research Center enabling citizens, students and creative industry making the future of Rotterdam. The designs by Claudia, Thomas and Livia include: a vision for using recycled plastic as a currency in a city, a shopping center for robots and humans, and a fast-food restaurant serving insect kebab from its in-house insect farm. 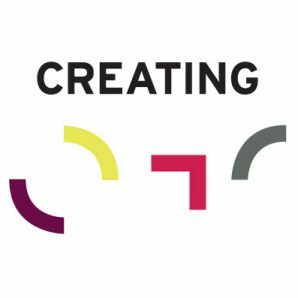 Each student will obtain a substantial production budget and be an official part of the final research outcome presentation of Retail Innovation Rotterdam in 2018.